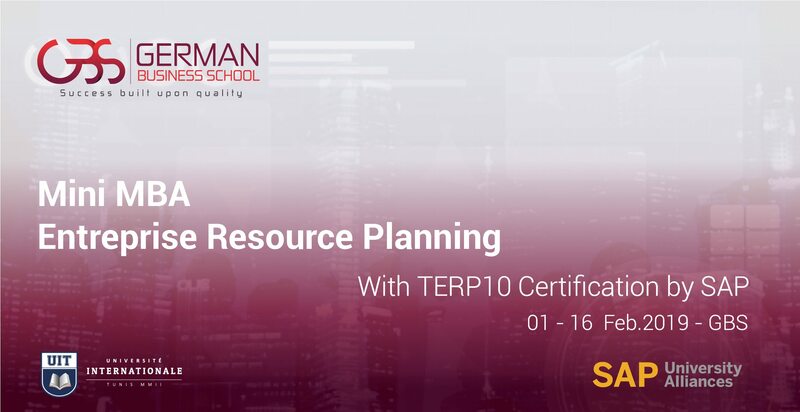 German Business School launches a Mini MBA - Master of Businees Administration in Enterprise Resource Planning, with SAP Certification on TERP10. The 2 weeks-session starts on February 1st, 2019.
develop the points of integration between involved departments to achieve each process. The Mini MBA Diploma is provided by German Business School with additional TERP10 Certification (SAP). The program starts on February 1st, 2019.